Munster came into this season with just one recognized senior openside on the books, that of course was Tommy O’Donnell, but there were more than a few fears that if injury hit the Cashel man, Munster could indeed be in dire straits. What was the plan? 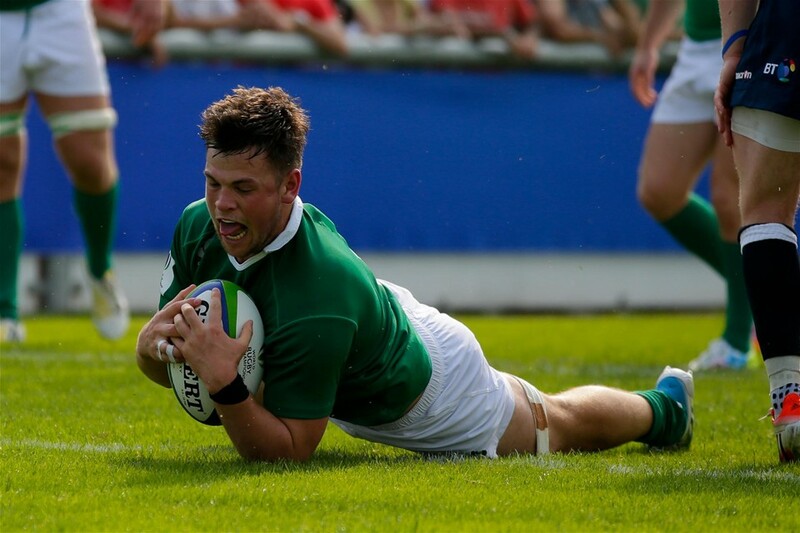 Dublin-born Conor Oliver moved to Limerick in 2015 from the Leinster academy as Sean O’Brien, Josh Van der Flier, Jordi Murphy and co looked to have covered the blue seven shirt for the foreseeable future. Since then, Oliver earned two appearances in the tail end of Anthony Foley’s second season at the helm and now under Rassie Erasmus’ guidance has become a Pro 12 bench regular. A wise move from the IRFU, it must be said. Two of Conor’s most memorable performances this season both came in Thomond Park, against Edinburgh and the Maori All Blacks – which we will now focus on through different aspects of his game. At six foot and 96KG, Oliver isn’t the biggest bloke you will ever see on a rugby field, particularly as far as forwards go these days. But when he’s burying Maori’s in the tackle and ploughing through rucks, what does it matter? Many “smaller” players are dismissed before they even express their values on grass in some quarters, but Oliver has gotten his chances and has taken them with aplomb. Tackling is one of the primary attributes that springs to mind when you see a slimmer forward but Oliver’s technique is spot on, ten times out of ten. The 21 year old is fit, pacey skillful but also deceivingly strong and last month he showed his inner engine in the final minutes against one of the most physical sides in rugby, the Maori All Blacks. In the GIF above 80 minutes are on the clock and arguably the world’s most promising number eight – Akira Ioane – is charging down Oliver’s channel. Oliver rushes to the right flank where Ioane is on the run, ties up the big man’s knees and falls with him to the ground. It’s a textbook tackle and Oliver knows no different. Again here, a Maori forward is on a surging run into the Munster defence and Oliver does his basics typically well. Ash Dixon turns and attempts to exploit a pocket of space that opened up between Oliver and John Madigan in midfield. Any threat is cut dead as soon as any contact is made however as Conor ducks low, wraps and falls with his man. A coach’s dream. Uniquely agile but intelligent too – this is the section that delivers the reasons why Oliver is such a joy to watch. Hold, hold, burst. The flanker showed immaculate awareness and footwork against Edinburgh for his one and only Munster try. As the ball is passed through Munster hands, Oliver stays deep as a classic overlap option. However, as Tyler Bleyendaal takes on the defenders himself Oliver makes a swift judgement and anticipates the offload seconds before it’s released. With ball in hand, Duncan Weir immediately presses into the face of the Garryowen clubman but once more Oliver has presence of mind and the feet to match. In my mind he is the only Munster forward with the capacity to convert this opportunity and he does just that as he wrong foots the Scottish international before touching down. Under the heading of rucking but this GIF just about summarizes Oliver’s skill-set. The openside takes the ball in hand and draws a defender before popping a timely offload to Dave O’Callaghan – and isn’t done just there. He stays moving in understanding that his job isn’t completed. He rushes to the ruck and identifies the immediate threat of the winger, allowing for a clean ruck. We see skill, brains, work-rate but in the clear-out we see his same tackling ideas come to to the fore. As he approaches the point of contact he stoops, bends his knees and drives the challenger from the lowest body part within reach – in this instance it’s the wingers waist but he duly slips to the thigh area against little resistance. I am in agreement with many that Oliver may not have the physique needed to step it up to the next level but as he lives and learns he has the makings of a vital squad member for Munster. A void has been felt in the natural seven department ever since Sean Dougall and Oliver could just be the man to plug the gap. We are looking forward to seeing much more of this young prospect in the coming seasons and you can be certain the more Oliver plays, the more that he will prosper. Conor Oliver, good luck with everything from all at Munster Haka.